Home>New Mixtapes>Mistah F.A.B. Mixtapes> Mistah F.A.B Drops Off "Thug Tears 4"
Mistah F.A.B's been in the game for 20 years at this point and he's been consistently hitting his fans with new music over the years. He has an extensive discography and his run in 2018 was a reflection of that. The rapper delivered three installments of his Thug Tears series in 2018 which featured guest appearances from some of the best in the game. Now, he's back with the fourth installment of his series, aptly titled, All Cried Out. Mistah F.A.B delivers a 19-track project on the fourth installment in the Thug Tears series. The rapper's new project includes a slew of features such as Brittany Tanner, Jane Handcock, Vitani, Jacka, Splash God, Outrageous Karina, Tirzah, Drew Allen, Joe Blow, and many more. 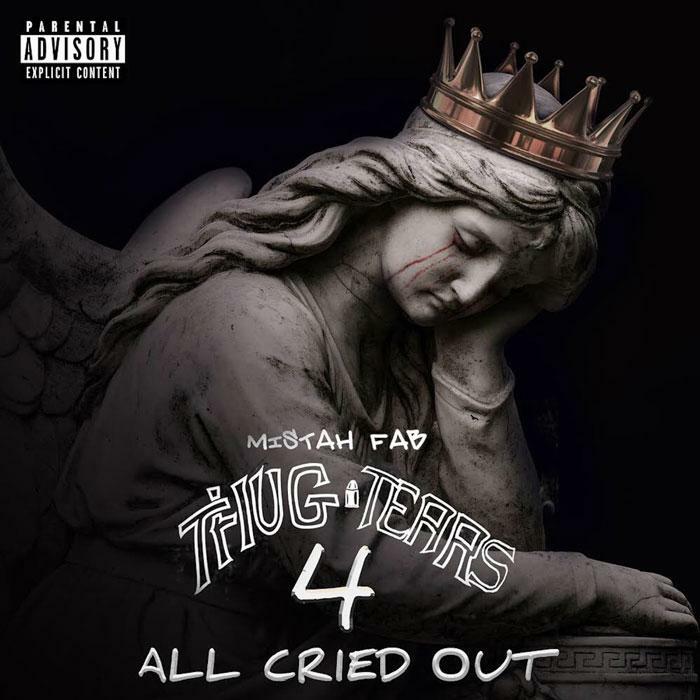 Check out Mistah F.A.B's Thug Tears 4: All Cried Out below. MIXTAPES Mistah F.A.B Drops Off "Thug Tears 4"